For almost 60 years volunteers have been leading guests through the hallowed rooms of Wilton and making them feel welcome during Wilton’s many events. Volunteers willing to take on just about any task are regularly needed at Wilton. Volunteers can regularly be seen greeting guests, helping with large mailings, and even painting faces at our summer concerts. If you are interested in helping around Wilton please let us know. Submit a completed Volunteer Application to join the team today. Contact us by email or at (804) 282-5936 to find out more. 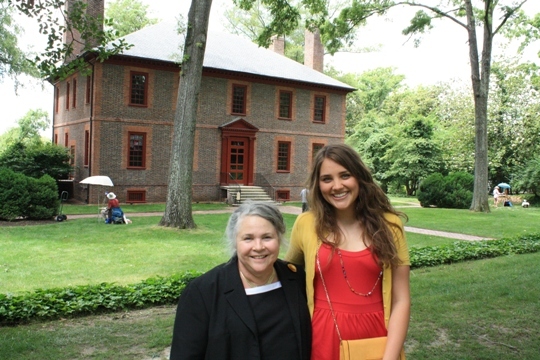 Leading guided tours at Wilton is one of the greatest gifts we receive from our volunteer guides. For as few as 4 hours a month, being a guide at Wilton is rewarding to both visitor and guide. Guides receive all of the above mentioned benefits, plus regular training and interpretation updates. Previous knowledge of Wilton and its history is not required, only your desire to learn and lead. If you would like to know more about becoming a guide, or have any questions about leading tours, please contact us.